Recently, there has been one major health issue dominating the mainstream media: antidepressants. More specifically, do they actually work? Are antidepressants safe and effective? This question has been widely debated in recent years. The global debate on this issue was kick-started earlier this year, when British author Johann Hari published his book, Lost Connections: Uncovering the Real Causes of Depression — and the Unexpected Solutions. Hari used antidepressants for 13 years, starting when he was a teenager, and the new book is his attempt to answer some of the questions that had plagued him for years. In particular, what causes depression? And, why did antidepressants not cure my depression? Lost Connections was launched to a fanfare of endorsements from celebrities, including musicians Elton John and Brian Eno, political activist Naomi Klein, and even Hillary Clinton. It posed a radical question: “Is everything we know about depression wrong?” It suggested radical solutions. For these reasons, the work immediately sparked controversy. Lost Connections surrounds the plentiful claims that antidepressants are mostly ineffective, that this ineffectiveness has been concealed by the pharmaceutical industry thanks to inefficient regulatory systems, and that the physiological mechanisms sometimes suggested as triggering depression are not supported by evidence. “Telling people, as I was told by my doctor, that depression is caused by a problem in your brain is, firstly, untrue,” said Hari to The Guardian. Learn more about exactly why antidepressants don’t work for all patients. These claims alarmed health professionals and journalists, who are now concerned that the book will prompt mental health patients to stop taking their medication without consulting a doctor. Meanwhile, others were more worried about the veracity of the claims that Hari used — particularly his soundbite that “between 65 and 80 percent of people on antidepressants are depressed again within a year” — and questioned whether they could be supported by peer-reviewed scientific papers. Though Lost Connections has definitely struck a populist nerve, critics of Hari are quick to point out that this is only his second major work following a career-threatening plagiarism scandal in 2011, which forced him to withdraw from the public eye for an extended period. The Lancet review: The final word? The debate raged on across social media and in countless editorial columns until last month, when the results of a 6-years-in-the-making systematic review assessing the efficacy of antidepressants was published in The Lancet. The review assessed all of the scientific data — both published and unpublished — that researchers from Oxford University in the United Kingdom could find. This exhaustively researched analysis was interpreted by some commentators to be the final word on the antidepressant controversy. The review does acknowledge that the short-term benefits of antidepressants are, on average, modest, but it concludes that all of the 21 antidepressants studied are more effective than placebo for the treatment of major depressive disorder in adults. Some drugs were discovered to be more effective than others. 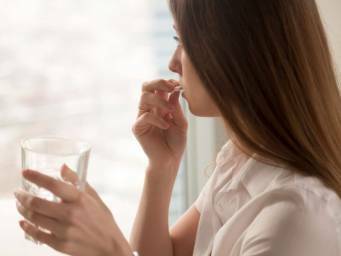 Escitalopram (Lexapro), mirtazapine (Remeron), paroxetine (Paxil, Brisdelle, Pexeva), agomelatine (Valdoxan), and sertraline (Zoloft) all had a higher response rate and lower dropout rate than other antidepressants, the researchers report. The paper’s authors draw particular attention to the global burden of depression; it affects around 350 million people and is becoming more common, with substantial increases in the number of depressed people since 1990 — which are thought to be driven by an expanding and aging population. In the U.S. alone, the financial burden of depression comes in at $210 billion per year, comprising 50 percent workplace costs, 45 percent direct costs, and 5 percent suicide-related costs. Most of the antidepressants that were included the study belong to a class of drugs called selective serotonin reuptake inhibitors (SSRIs). It is believed that antidepressants work by boosting serotonin levels, but this has not been confirmed. They are thought to work by raising levels of the neurotransmitter serotonin, but the researchers admit that evidence to support this mechanism of action is not definitive. Really, no one quite knows exactly how antidepressants work. Serotonin has been linked to maintaining mood balance, appetite, and motor, cognitive, and autonomic functions. Since the late 1980s, low serotonin levels were thought to be a main driver of depression. But this position has been questioned — and not just by Johann Hari. In 2015, Medical News Today reported on an editorial published in The BMJ from a prominent critic of SSRIs called Prof. David Healy. He argued the idea that depression is caused by low levels of serotonin, and that SSRIs restore serotonin levels is a myth originating in pharma marketing. The Oxford-based researchers argue that more research and newer, more precise antidepressants are required, admitting that the identification of new molecular targets has been made difficult precisely because of the lack of clear evidence on how antidepressants work. The lack of research assessing the long-term use of these medicines has led to some concerns that antidepressants may contribute to unacceptably high health risks compared with their modest benefits. Can antidepressants raise early death risk? Recently, MNT looked at a study suggesting that common antidepressants may drastically increase the risk of mortality. Research has suggested that antidepressants may increase the risk of premature death. The team behind this study, at McMaster University in Ontario, Canada, conducted a meta-analysis of 16 studies involving a total of around 375,000 participants. They found that people taking antidepressants have a 33 percent higher risk of premature death compared with people who aren’t. In addition, people using antidepressants were found to be 14 percent more likely to have a stroke, heart attack, or other cardiovascular event. The meta-analysis did not find a significant difference in outcomes between people taking SSRIs and those using tricyclics, an earlier generation of antidepressants. However, as this research was an observational study, the scientists were unable to prove that antidepressants cause premature death; they could only record a link between the two. Speaking to MNT, lead study author Marta Maslej speculated on possible mechanisms that could drive this association. It is estimated that around 1 in 10 U.S. adults now take antidepressants, and with the incidence of depression on the rise, it seems unlikely that these numbers will reverse any time soon. It is also unlikely that the intense debate over the role these medicines play in our society will die down or become any less controversial — despite the new data. But one thing that all voices — from Hari to the research teams — in this debate firmly agree on is that if you are taking antidepressants and you are concerned about their effects, you should not stop taking them without consulting your doctor first. Always speak to your doctor before making any changes to your medication.